Spring is a time to enjoy nature’s new growth and renewal. However, the wind and pollen in the air can make this season not so pleasant for some people. Chinese medicine considers that our body is strongly influenced by our living environment and this is especially true with seasonal changes. The different climate and environment of each season affects different organs in the body. During spring I suggest you pay more attention to your Lung and Liver organs and their related symptoms. The Lung is the only organ directly in contact with the exterior environment through the airways and the skin. So changes in the external environment will first affect the health of the Lungs and your immunity. For example, in spring it is more windy and there is more pollen in the air. It’s also drier and especially in Western Australia the weather changes from being cold and damp to warm and dry. These changes can easily affect the Lung and the body’s immunity by causing symptoms such as hay fever, dry skin, rashes, itchiness, asthma, and/or common colds. All these symptoms can not only affect the Lungs but also a person’s general health and their quality of life. If some of these symptoms remain unresolved over a longer period of time, the functions of other organs can be affected as well. eat more of the following cooling and moistening foods: pears, green leafy vegetables, lemon (not if you have reflux), honey, white fungus, lotus seeds, cucumber, Chinese cabbage, eggplant. Traditional Chinese medicine and acupuncture can build up your body’s immunity and prevent sickness. If you have low immunity or any of the symptoms I mentioned before, I suggest you can schedule an appointment with your Chinese medicine practitioner for a diagnosis and treatment. Spring is also the best season to improve your Liver condition with Traditional Chinese medicine and acupuncture. According to the Five Elements theory, spring belongs to the Liver and green colour helps the Liver. At the beginning of spring everything starts to grow and becomes green. These environmental changes help to support the function and energy of the Liver. Symptoms related to the Liver are usually closely related to the emotions. A weak Liver can make someone more easily stressed, angry or depressed. Liver related symptoms are often worsened by emotional stress. Chinese medicine considers our body to be part of the natural environment and therefore it’s important to be aware of how the changes in seasons can affect our health. 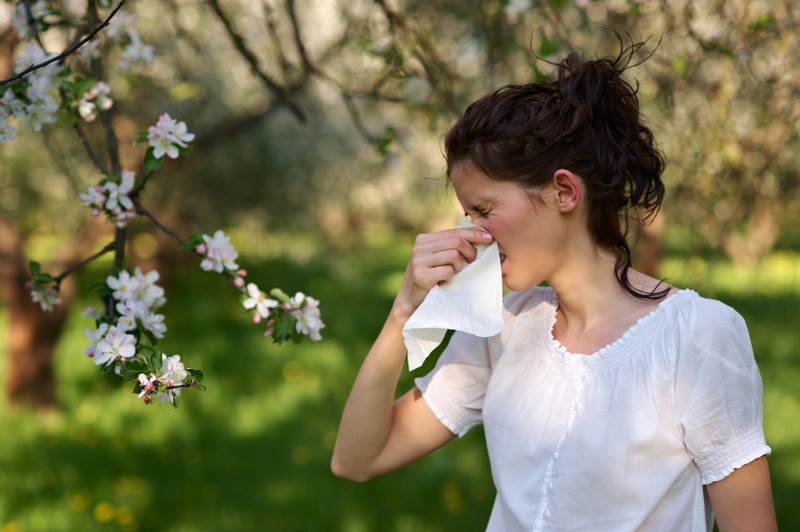 If you are suffering from hay fever and low immunity this spring, don’t forget Chinese medicine and acupuncture can help you to quickly resolve your symptoms. We hope you enjoy the springtime, it is one of the best seasons to be in the great outdoors.